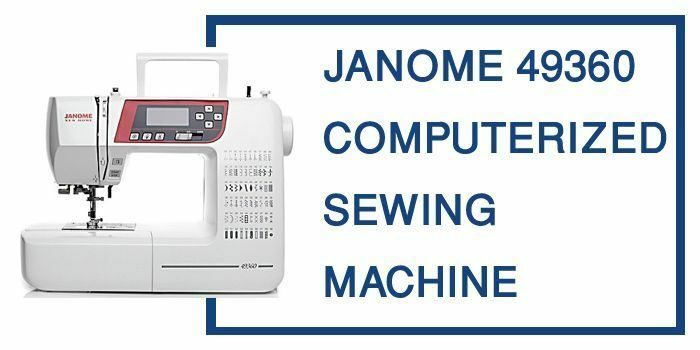 Janome is a company that is best known for their high-end sewing & quilting machines for those needing a professional and reliable system in their home and workplace. While this company has also rolled out its fair share of cheaper models over the years, their most intricate and highly regarded products are the ones meant for the professional or experienced user. Janome 2212 is a great basic machine, and I love it! 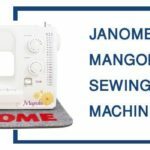 This Janome 49360 review will introduce you to a high-end machine with a pretty reasonable price tag considering its slew of impressive features and functions. Having a portable machine is something that more people are looking for in their purchases. 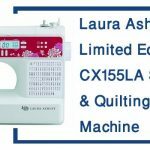 Whether it is for on the go alterations of clothing or you just have a quilting group that likes to meet up, this machine can easily accommodate a fair deal of travel with its lower weight and compact design. Close off your projects with the touch of a button. This automatic thread cutting feature allows you to not only cut off your thread at a designated point in your stitch, but the machine will also close off the stitch for a polished and professional end. For those that have ever delved into quilting, you will appreciate the differences between it and regular sewing of clothing or average materials. This sewing & Quilting machine features options that appeal to both the quilter and average user with two set modes. Whether you are filling a lot of quilt orders or you are trying your hand with sewing denim and leather, having a powerful motor makes all the difference in the world. With this strong and capable motor, your Janome sewing machine can work just about any thickness of material into a gorgeous finalized product. This is also a good sewing machine for lather. There are too many loud sewing machines out there, but this is certainly not one of them. Operate your machine any time of the day or night without worries. This powerful motor is one of the best for its price, but you wouldn’t think it to listen to it. Q. Is this good for denim and leather? A. This machine has a very powerful motor that can easily create stitches in thick materials like denim and leathers. You will still need to purchase the appropriate needles for this kind of sewing however. Q. Does this machine feature automatic thread tension? A. This machine does not have automatic thread tension, but it is said that even with the manual set up, it isn’t hard to keep the right tension for your stitches. Q. Is this sewing machine good for a beginner? A. While any machine could theoretically be good for a newcomer with enough time to learn it, this might not be the best place to start. There are many other low-end options from Janome aimed at those learning to sew for the first time. 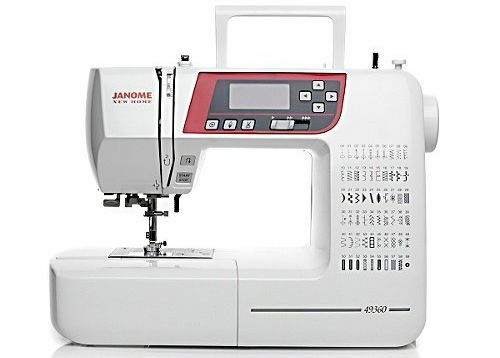 All in all, this Janome 49360 is a well-constructed machine that has been making a lot of positive noise on the internet through many different retailers. 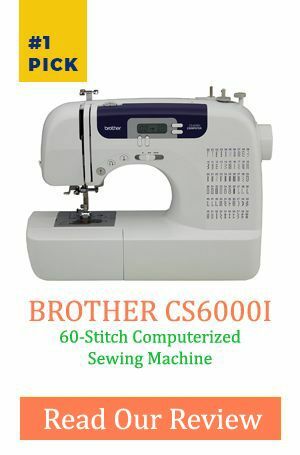 If you are looking for a machine that has all of the features and functions that you need in a sewing machine, this is going to be that machine and then some. Plus, with its reasonable cost in comparison to other products in its same functionality class, this is a machine that you are more easily able to upgrade to without breaking the bank.